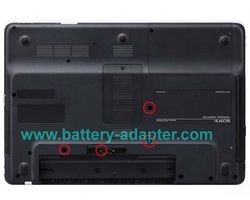 Sony Vaio VGN-NW series include many laptops, I suppose this guide should work for the whole series. If it doesn’t work on your laptop, please suggst me the complete model# of your laptop. In this case, it is Sony Vaio VGN-NW18H. First of all. 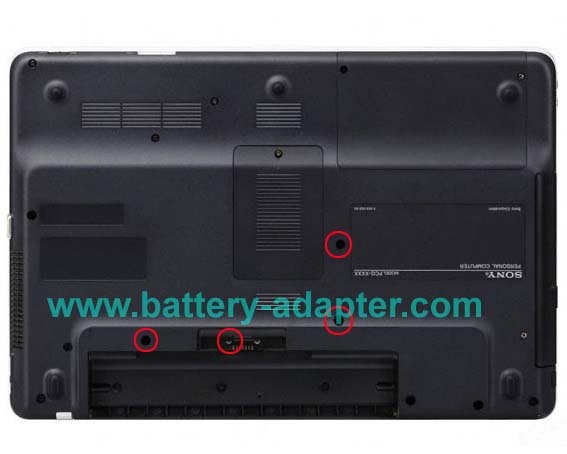 Turn off your Sony Vaio VGN-NW laptop and disconnect the AC adapter and remove the battery. 1. Turn the laptop upside down, and remove for screws securing the keyboard. 2. 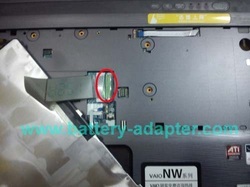 Open your Sony Vaio VGN-NW as far as possible. Pull the keyboard towards the palmrest direction, then lift it from the top edge of the keyboard. 3. Turn over the keyboard but don't remove it, you need to release the keyboard cable connrector and uplug the keyboard cable. 4. 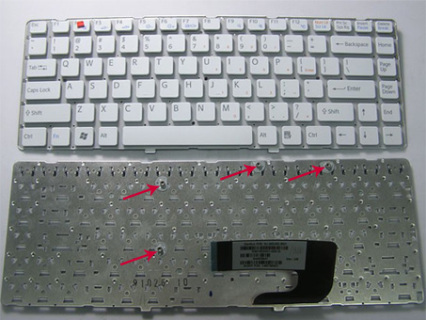 Now, you can remove the keyboard and install you new Sony Vaio VGN-NW laptop keyboard. If you want to clean the cooling module or replace the fan of Sony Vaio VGN-NW series laptops, you can refer to another post How to Replace Sony Vaio VGN-NW18H CPU fan.